Fast-forward to 2001. As Dr. Hwang said, “some crazy people got together” and dreamed up the project. Hwang developed a traffic model to see what would happen if they took out what was considered a vital traffic artery carrying 168,000 cars per day. In the model, he included adjustments to other streets and increased transit to see if Seoul could survive without the freeway. 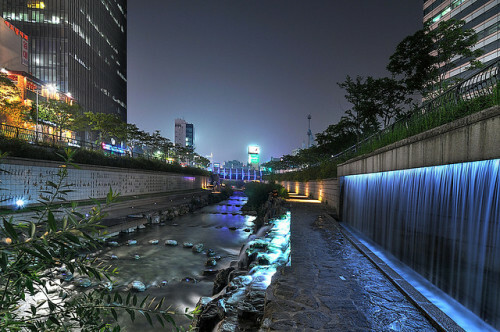 The results of the model surprised him: not only could it work, but it would actually improve travel times in downtown Seoul.